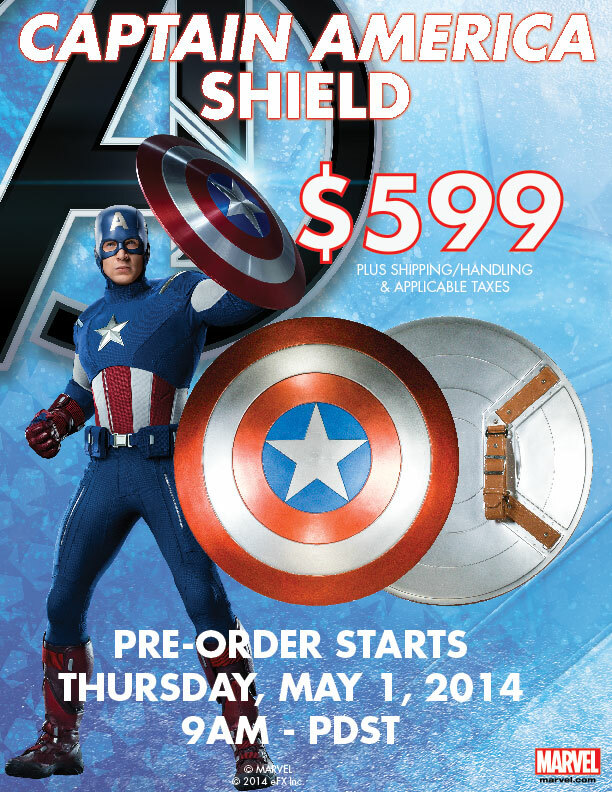 Tomorrow, eFX Inc. will begin pre-orders on its long-awaited Captain America shield, as seen in MARVEL’s The Avengers. You’ll find detail on that below, as well as information about the fantastic Iron Man 2 Mark V Armor Suitcase Fuel Cell — a great way to be a very practical Marvel Super Hero fan … one who’s always prepared for any situation, especially those that find you “racing the battery” on your mobile device. More information on the incredible Captain America shield and the Iron Man 2 fuel cell is provided below and is also available online at www.efxcollectibles.com. Or you can place your pre-order with a $200 non-refundable deposit and when your shield is in stock and ready to ship, you can choose to either pay your balance in full (including shipping/handling and CA sales tax, if applicable) or choose our convenient layaway plan.CLICK HERE for more information. Even super heroes’ power-hungry mobiles devices run out of juice when they are out saving the world – usually at the worst time! So, it’s simply not a good idea to be without auxiliary power. 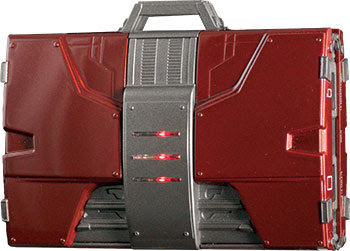 Our new Iron Man 2 Mark V Armor Suitcase Fuel Cell is a perfect fusion of fandom and functionality. Whether roaming the floor at a con, traveling on vacation or business, or saving the universe, the Mark V Armor Suitcase Mobile Fuel Cell means you’ll never be without the power you need. The eFX Iron Man Mark V Armor Suitcase Fuel Cell is not just a high capacity, supplemental power source, it is an officially licensed, 1/4 scale replica of the actual prop seen on-screen in MARVEL Studios’ Iron Man 2, on the race track of the Grand Prix de Monaco, where Tony Stark first encounters his nemesis, Ivan Vanko (A.K.A. Whiplash). Our Fuel Cell has a whopping 12,000 mAh capacity and can fully charge up to 5 iPhone 5s’ and COMPLETELY charge an iPad Air. It can also be used as the power source for your mobile device and can power some smartphones for an additional 45 hours! For more information, please CLICK HERE to check it out!